I started reading The Blood of Olympus as soon as I got home. I would have liked to finish the book in one sitting, but, alas, my job and the need for sleep got in the way once again. At any rate, I finished the book two days ago, and I’ve been processing what happened ever since. I’m not going to go into a lot of detail in this post because I want to avoid spoilers at all costs. I will say, though, that The Blood of Olympus delivered on all counts. It was action-packed and full of twists and turns, it contained a fair amount of the snark and humor I’ve come to associate with Rick Riordan, and it even tugged at the heartstrings a bit. I think fans of this series will be totally satisfied with how things concluded for Percy Jackson and the other heroes we’ve come to know and love. I know I was. I’m pretty sure the first of my students to check out The Blood of Olympus probably finished it this weekend. I am really looking forward to geeking out with them about what happened. I’m also hoping that other students will see us getting so excited about this book, and they’ll want to see for themselves what the big deal is. Since I’m not going to give any plot details away here, I’ll go ahead and start wrapping things up. If you’re reading this and wondering what’s so special about this series…well, you’ve got a lot of catching up to do. Here’s a handy reading list to get you started! 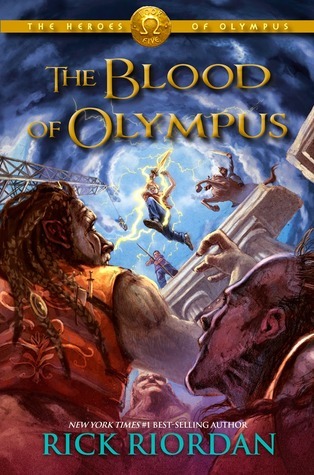 For more information on The Blood of Olympus, the thrilling conclusion an amazing adventure, from Rick Riordan himself, check out the video below…and read this book. You won’t be disappointed! Still want more? Click here for all things demigod! Last night at exactly 11:06, I finished reading The House of Hades, the fourth book in Rick Riordan’s Heroes of Olympus series. (I should have finished it sooner, but life got in the way. At any rate, I’m done now.) I then proceeded to dream that I was a demigod all night long. I’m kind of exhausted today, but I’ll do my best to provide just a little information on this intense fourth installment without giving too much away. When last we saw our beloved demigods, Percy and Annabeth had plunged into the depths of Tartarus, and the remaining members of the quest were on their way to Greece in an attempt to stop Gaea from rising. Now, Percy and Annabeth are facing unspeakable horrors in an effort to close the Doors of Death from the abyss, and Leo, Hazel, Frank, Jason, Piper, Nico, and Coach Hedge are traveling through the ancient lands and trying to close the Doors from the mortal world. Both groups are facing terrors that they couldn’t have anticipated, but there is hope. Help comes to them in some unexpected forms, and every member of this quest will find inner strength that makes them more powerful than they could have ever realized. But are they strong enough to perform the daunting task in front of them? What new obstacles will they face along the way? And can they find a way to complete their missions while keeping Greek and Roman demigods from destroying each other? There’s still, however, a lot of story to be told. (Will Gaea wake? What will happen when/if she does? Can a few demigods defeat the flippin’ Earth Mother? Will all of them survive? Will Leo ever find true and lasting love? Will Annabeth and Percy ever get a rainbows-and-fairy-dust happy ending?) Luckily, we have at least one more book in this series to give us some answers. The Blood of Olympus will be released next fall, and judging by the title, things are going to get much worse for our favorite demigods if before they get better. 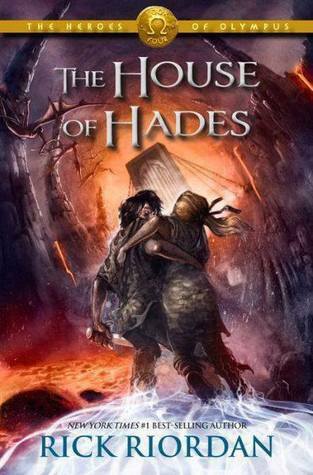 If you’d like more information on The House of Hades, check out Rick Riordan’s website. You can also follow the author on Twitter @camphalfblood. So, yesterday I finished reading The Mark of Athena, the third book in Rick Riordan’s Heroes of Olympus series. Just when I think that things can’t possibly get any worse for Percy Jackson, Annabeth, and their lovely demigod friends, I’m proven horribly wrong. After reading The Son of Neptune last year, I knew things weren’t going to be all moonlight and roses in this book, but I don’t think I was prepared for just how bad things were going to get…and, if the way The Mark of Athena ended is any indication, the next book won’t be a day at the park either. The Mark of Athena begins with Annabeth (daughter of Athena), Leo (son of Hephaestus), Jason (son of Jupiter), and Piper (daughter of Aphrodite) descending on Camp Jupiter, the Roman equivalent to Camp Half-Blood. They’re not sure how welcome they will be, especially since they are literally descending on the camp in what can only be called a Greek warship. While most of the Roman campers are not exactly thrilled with the presence of the ship (also known as the Argo II), one person at Camp Jupiter is delighted to see it…Percy Jackson. He hasn’t seen his girlfriend, Annabeth, in what seems like ages, and he’s deliriously happy to be reunited with her. That is, until his newly arrived friends accidentally start a war with the Romans who have taken him in, and he, Hazel (daughter of Pluto), and Frank (son of Mars) are forced to make a hasty exit with Annabeth and company. From the very beginning of this quest, things go wrong, and it’s going to take something drastic to turn everything around. Are these seven demigods up to the task? What sacrifices will be made to ensure the success of this dangerous crusade? And are these young people prepared for the fallout of the decisions they will be forced to make? Discover the answers to these questions and many more when you read The Mark of Athena by Rick Riordan. If you’d like more information about The Mark of Athena and Rick Riordan’s other amazing books, check out his website at http://www.rickriordan.com/home.aspx. You can also follow the author on Twitter @camphalfblood. 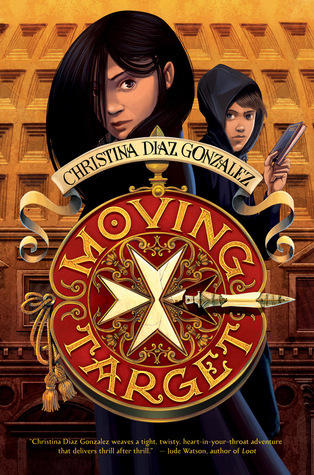 For those who are interested, here is a book trailer for The Mark of Athena from DisneyHyperion. It tells absolutely nothing about the book, so you don’t really need to concern yourself with spoilers. Before I get to my latest read, I’d like to wish everyone who follows this blog a very merry Christmas, happy Hanukkah, wonderful Winter Solstice, and lovely Festivus for the rest of us. I hope everyone’s holidays are super! I spent half of today finishing a great book, so my Christmas is off to a great start! I’ve been meaning to read The Son of Neptune, the second book in Rick Riordan’s Heroes of Olympus series, for a couple of months now. Life (and a few other books) have prevented that from happening, but I finally got around to this book during my much needed winter break. (Of course, my students had a little to do with this. They want to talk to me about this book, so I promised them I’d have it read before we returned to school in January. I am a woman of my word.) Now that I’ve finished The Son of Neptune, I wish I had read it sooner. Like all of Rick Riordan’s books, it’s a wonderfully complicated story filled with secrets, tragic heroes, danger, and help in unexpected places. I was engrossed from the very beginning–especially since the story started off with Percy Jackson–and, now that I’m finished, I’m eager for the next installment. I hope that you’ll feel the same. I will warn you, though…if you haven’t read the entire Percy Jackson & the Olympians series (The Lightning Thief, The Sea of Monsters, The Titan’s Curse, The Battle of the Labyrinth, and The Last Olympian) and The Lost Hero, read those before starting with The Son of Neptune. All of these books are beautifully connected, and I wouldn’t want you to miss out on something important. Percy, Hazel, and Frank are sent on a quest to prevent Gaea’s giant Alcyoneus from taking the war against Olympus to the next level. There’s a bit of a problem, though. (Isn’t there always?) The three demigods have just a few days to make it from San Francisco to Alaska, and they have to battle lots of monsters along the way. They’ve also got to make a few important pit stops to communicate with potential allies (who may or may not have their own agendas). On top of that, once they deal with Alcyoneus, who cannot be killed in his home, they’ve got to return to Camp Jupiter to help save the camp from the monsters on their way to destroy it. Easy peasy, right? Yeah…not so much. On this journey, secrets will be revealed, old (and new) foes and friends will be encountered, and the young demigods will encounter Death himself. Will they be able to complete the nearly impossible task before them, or will Gaea find a way to further her cause against Olympus? Will Percy regain his memory? If he does, what will it mean for his life at Camp Jupiter? 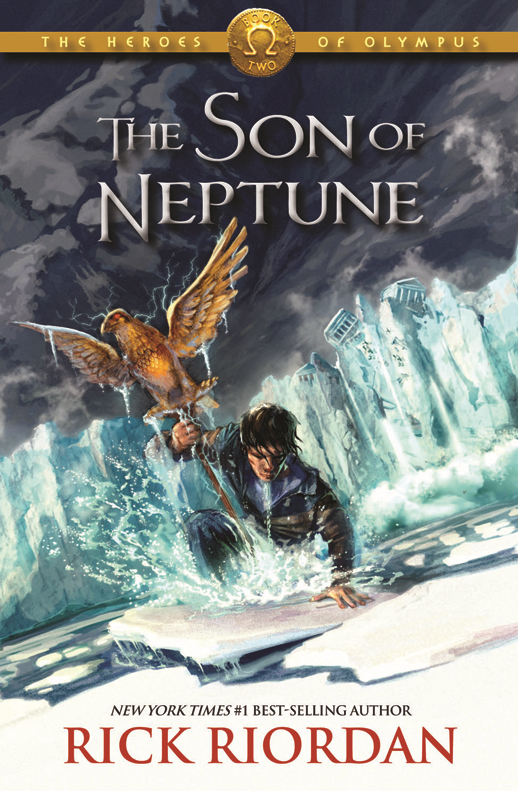 To find the answers to these questions and more, read The Son of Neptune by Rick Riordan! It should go without saying that I thoroughly enjoyed The Son of Neptune. It is a great book for readers ages 9 to 99. The things that I loved about Riordan’s previous books also apply to this one: fully developed characters, an intricate plot, tons of action, friends and enemies in unexpected places, and a liberal dose of humor. I can’t wait to see where the third book, The Mark of Athena, takes us. It should be an interesting ride. 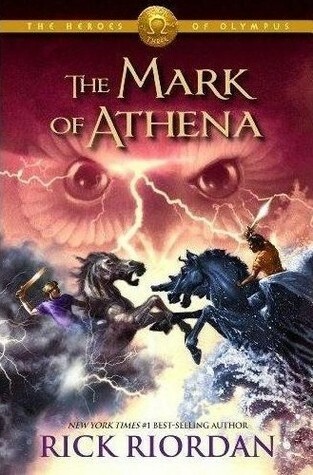 By the way, The Mark of Athena is scheduled for a fall 2012 release. In the meantime, I urge you to read Riordan’s Kane Chronicles series–The Red Pyramid and The Throne of Fire. There’s no word yet on when the third book in this series will be released. Also, I heard recently that Rick Riordan may be writing a series centered around Norse mythology when he’s done tackling Greeks, Romans, and Egyptians. If you’d like more information about Rick Riordan and his amazing books, visit http://www.rickriordan.com/home.aspx. Happy holidays!